We understand the importance of keeping the Accounting standard for the success of your business. Continuously delivering comprehensive and extensive assistance for your New Business Setup, Accounting and PRO requirements. If you’re starting a business and now need to decide on where to register it, the United Arab Emirates Free Zones has everything you need and accommodate most types of Business Activities. There are plenty of options to choose from and each meets the necessary business requirement. Are you interested in Gold, diamond and precious stones trading? Do you intend to have your own Consultancy firm? Do you need a free zone dedicated to education? Are you looking into the healthcare industry? Do you want to setup your own manufacturing company? Perhaps you want to engage in Financial Services? Are you expanding your business and want to have a presence in the UAE market? business and factors that need to be carefully considered. there are principal rules that apply to set up a company"
There are a lot of options in Dubai and all over UAE. When selecting a legal form as to where to register new business in UAE, several factors must be taken into account such as business type, business activities, and the nationality of the owners and ownership options. If you are planning to start a business in one of Dubai’s many free zones, keep in mind that each free zone has different start-up procedures and associated fees.There are few elements in the setup process which you need to consider even before you start your legal formalities. Why B4B is your best option? Business 4 Business Consultancy understands your needs and reduces the complexity of business setup procedure while helping to ensure the success of your new business incorporation by simplifying your requirements. 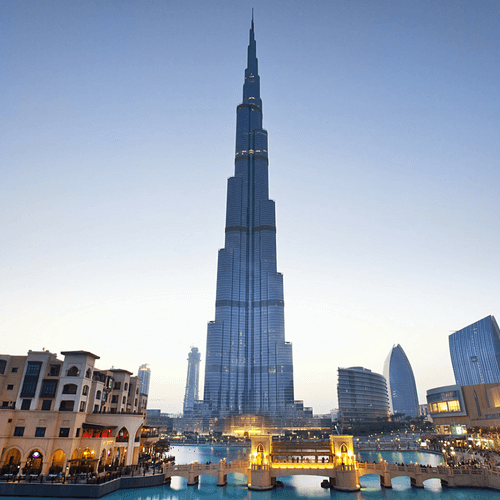 There are a lot of options in Dubai and all over the UAE. When selecting a legal form as to where to register the company formation in Dubai UAE, several factors must be taken into accounts such as business type, business activities, and the nationality of the owners and the ownership options. Free zone is a designated area in which companies are taxed very lightly or not at all in order to encourage economic activity. The United Arab Emirates has always been keen to assist investors and businessmen to grab the opportunity in setting up your very own company. Free zone company formation is quicker than incorporation outside of the free zones UAE. In the UAE, setting up a business is far more accommodating and at ease than anywhere else in the Middle East and North Africa (Mena). It offers numerous free zones authority, excellent infrastructure, low taxes, low import duties and a strategic location. From the variety of Free Zones to choose from, each one has its own unique and attractive packages suitable for each specific requirement. However, starting a business here has its own hurdles. Business 4 Business Consultancy is here to complete guide you to face these challenges at ease. One of the most common form of business in the UAE. Limited Liability Company corporate’s structure whereby the liability of an investor is limited to their shares in the businesses capital. LLC shareholding structure remains at 51 percent ownership should be with UAE national and 49 percent of foreign ownership. However, profits can be accorded in a different ratio. Easy to open global/local corporate bank accounts and avail credit facilities. Ease of Incorporation, Minimal Fees, and Tax benefits! Registering an offshore company can legally minimise the tax obligations of a business and this is often the primary reason for incorporating a business offshore. How to open an offshore bank account in the UAE? Business 4 Business Consultancy stretched our services and assistance until the opening of corporate bank account. Due to longstanding relationships with a number of financial institutions, and is able to arrange introductions and account openings on behalf of the company. Fidelity Corporate Services Ltd is a professional offshore incorporation services firm. BVI Business Companies is probably the worlds´ most popular type of offshore company. Our firm can help you setup a company under BVI. As such, we are regulated and supervised in regards of the quality of our incorporation and company management services, the competence of our staff and the safeguarding of client interests. A popular way for foreign companies to retain 100 percent foreign ownership in the United Arab Emirates (UAE) is to open a branch or representative office. These offices do not have a separate legal identity but are treated as an extension of the foreign company, which remains liable for their activities. A representative office is not permitted to earn profits within the UAE and the activities it may undertake in the UAE are limited to marketing and/or promoting its foreign parent company products and services. A branch office can engage in commercial activity in the UAE and can earn profits. It is licensed for the purposes set out in its commercial license but may only engage in activities similar to those carried on by the foreign company in its home jurisdiction. Branch and representative offices share many similar features, as both operate under the authority of a commercial registration and license in the name of the foreign company – and both are required to appoint a local services agent, who must be a UAE national. The process for establishing either a branch or representative office is therefore largely the same. That process is dealt with below. Once a company has been legally established in any of the UAE jurisdictions, the investor becomes eligible to acquire UAE Residence Visa. There are a few mandatory formalities that must be completed before you are able to have your UAE residence visa issued. The process includes the medical exam, which is mandatory for all and subsequent application to issue residency for the individual and biometrics of fingerprints. Business 4 Business Consultancy officers will be on hand throughout the entire process to assist you and to speed up the process where possible. Business 4 Business Consultancy is a professional Accounting & Bookkeeping service provider in UAE. We use up-to-date information technology to support and complement our accounting approach. Our qualified and experienced team uses a systematic and comprehensive recording of financial transactions pertaining to your business and summarize, analyze and reports these transactions. We provide bookkeeping and reporting services, monthly, quarterly, and annual financial statements, financial performance review including aging analysis of inventory, account receivables, and payables service. Accounting is tremendously important because it is the language of business, and it is at the root of making informed business decisions. With B4B, we help t measure your company’s success at meeting its goals and understands how efficiently their economic resources are being used. This is why companies must be proficient in accounting in order to make good decisions. How will the implementation of value-added tax (VAT) affect you? VAT will be introduced across the wider GCC region, and not just the UAE. According to Ministry of Finance, VAT registration is required for UAE companies including small and medium-sized enterprises, with revenues over Dh375,000. Businesses with taxable supplies below Dh375,000 but over Dh187,500 will have the option to register. Likewise, Business 4 Business Consultancy will provide proper guidance regarding Value Added-Tax registration procedures and further concerns. This will provide with a new source of income which will contribute to the continued provision of high-quality public services in the UAE and into the future. It will also help government move towards its vision of reducing dependence on oil and other hydrocarbons as a source of revenue. Most of the tourist finds the UAE attractive because of investment incentives, lifestyle appeal and many more. If you are looking for an opportunity to start your own business, UAE is an ideal place to start a new business. It is known as Business hub of the Middle East. Below are the frequently asked questions when considering to begin a new business. This depends on the Dubai Free Zone authority and the type of license to be acquired, estimated formation costs for Trade License Registration is AED 30,000 to AED 50,000.
Business 4 Business Consultancy is always fully transparent when providing our clients and potential clients with the total costs associated with setting up their UAE free zone business. A big part of this is simply ensuring we offer the flexibility to provide you with the exact package to suit your needs. Whether you require a single-shareholder trade license, a dual- (or more) shareholder trade license, or visas for employees or dependents, we will help you select the application option you need so that you pay no more than is necessary. Setting up your UAE Company starts with B4B Consultancy. Request for a free consultation and detailed information for your specific requirements. There are several free zones in the UAE to choose from, and select among these options the most economical Free Zone available. Business 4 Business Consultancy can guide you on the most suitable Free Zone for you fits on your budget. Which Dubai free zone company setup cost would be the cheapest? Among all other Free Zones in the UAE, few of the most low cost setup is Ajman Free Zone and Jebel Ali Free Zone. Fees associated in business formation must be paid once the application has been made. There is usually a corresponding application fee at minimal cost. What language must the application and documentation be in? The government authority only accept supporting documents, requirements and application forms filled in the English or Arabic language. Hence if it is in other language other than English or Arabic, it must be legally translated. What is the minimum capital requirement for a business setup in a Dubai Free Zone? The minimum capital requirement to incorporate a company in the Free Zone depends on the business activity. There is no capital requirement for branch companies. Why do I need Public Relations Services? Public relations officers service helps your company with tedious applications concerned with any application with the government authority such as Visa application, Renewals and processing paperwork for governmental department and getting clearance. At B4B, we help you cut through the long queue and get the necessary approvals without consuming much of your time.